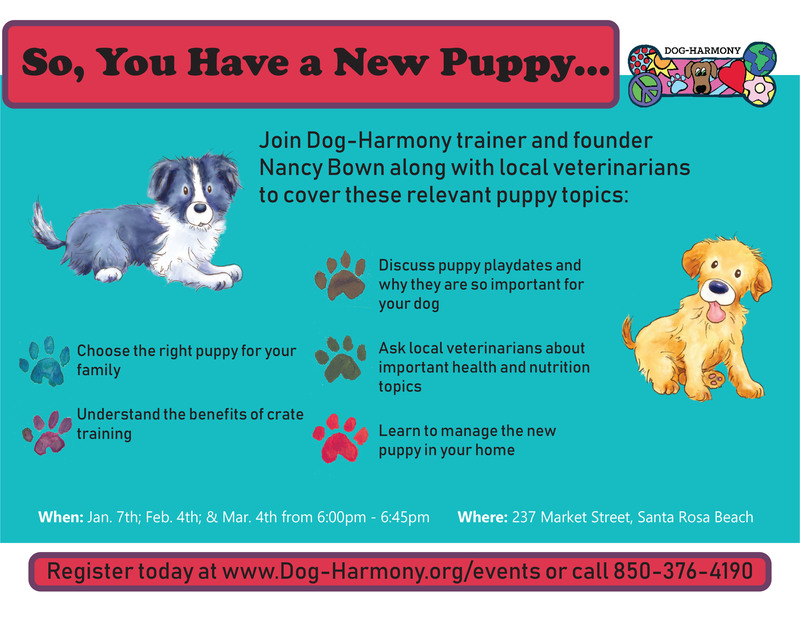 Dog-Harmony and Founder, Nancy Bown, are partnering with local veterinarians to provide a monthly puppy educational program, So You’ve Got a Puppy, to help new and soon-to-be puppy owners introduce and train their new four-legged member of the family. This event is free of charge – and it’s for humans only this time. Please contact Nancy directly (hello@dog-harmony.org or 850-376-4190) to RSVP for one of the sessions we’re offering. Or sign up below!